There is a medium common to man. In every generation, as far back as you can go, there has been a remnant of men and women whose lives point to the fact that they had an understanding of this article of life; which by the way is espoused in every religion. This truth is the foundation of psychology; a potent philosophy that holds promise for humanity. It is knowledge far beyond what we call ?education?. It is a fixture of life that can help explain the state of humanity. It is the revelation knowledge of the nature and power of thought, the divinity and creative power of the MIND. In the year 2003, I was awakened to the knowledge of the immense power of the human mind. 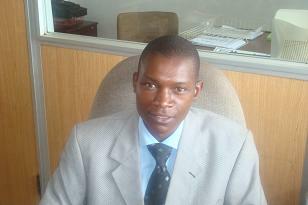 I was a final year student pursuing a Bachelors Degree at the Copperbelt University. It was during this time that I got a glimpse into the power of thought, not only in shaping the destinies of men but creating their worlds as well. 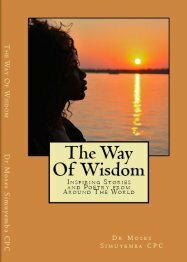 This was my introduction to the world of conscious personal growth and development. Not long afterwards, I stumbled upon James Allen?s Classic, ?As a man thinketh?, which I highly recommend to every man and woman who desires to transform his/her life. It has been 6 years since that time and I feel like I am just beginning. I am on a wonderful journey to self mastery and conscious growth and I am enjoying every moment of it. Reading and listening to personal development material is like music to my ears. Every day is a wonderful learning experience for me; shaping my worldview and philosophy about life. I am constantly awakening to the laws that govern my life and this Universe. I am learning distinctions that are timeless and life changing, one of which I want to share with you today. There is a medium common to man. It was James Allen who said that the problem of humanity consist in learning how to live. Humanity as it stands today is in the painful stage of learning. All the problems of life spring from ignorance and wrong living. Knowledge of the nature and power of this ?medium common to all men? is a sure starting point on the journey to enlightenment. The kings, prophets and seers of generations past had a revelation of this germ of life and frequently exhorted us: ?Guard your heart with all diligence for out of it precedes the issues of life?. Life evolves from the heart. It evolves from consciousness. Everything exists within the context of consciousness - and this is the medium common to all men. It is ?the nothing that connects everything? in our world. Through it all men are put on equal footing in the race of life. Through it, everyone has access to everything; every resource that has ever been, is and will ever be. Everything is now truly up to you - for ?He has given us all things that pertain to life and Godliness?. The pages of history are filled with individuals who have used ?the medium common to all men? to invent precious things that have blessed civilization. Alexander Bell used it to bless the world with the telephone. The Wright Brothers used it to unlock the secret to the ?flying problem?. Through it, we can listen or watch a presidential address from millions of miles away. It is the energy that engulfs the world. It is the expression of the Creative Source of all life - in whom ?we live, move and have our being?. It is the MIND of God. It is Consciousness. Consciousness is the market where thoughts are traded. Everything you see is the expression of this trade that is constantly happening. Civilization is indicative of the state and stage of this trade. All that you know; all that you will ever experience is a projection of thought. Your life experiences and circumstances are resolved within your internal thought processes. They ?project? from there. They are also resolved into MIND. Everything finds its meaning in Consciousness, without which there would be, no life to talk about. Life and everything else is a projection of MIND; it is thought objectified. Truly, ?thoughts are things?. No wonder you?ve got to choose the good ones! Self mastery therefore consist is a sustained effort and discipline in taking hold of ones thought and consciously projecting ones desired life purpose. ?He who has control over his spirit is mightier than he who takes over a city?. Conscious growth involves using the common medium of MIND to achieve ones aim. Cherish your thoughts. Use them to advance your purpose. Engage this wonderful phenomenon to achieve the goals you have set for yourself. This more than anything else explains the difference between the ?gods? and ?mere men?. ?For my thoughts are not your thoughts, neither are my ways your ways? declares the Lord. ?As the heavens are higher than the earth so are my ways higher than your ways and my thoughts than your thoughts?. The message should be clear by now. If we want to express the ways of God, we must Think "the Way" He does. There is no other Way by which men may be saved. God?s Way is best. Therefore, ?Whatever is true, whatever is honorable, whatever is fair, whatever is pure, whatever is acceptable, whatever is commendable, if there is anything of excellence and if there is anything praiseworthy - keep thinking about these things. Likewise, keep practicing these things? Then the God of peace will be with you. Thank you and God bless you.